"The attacks of September 11, 2001 were an Anglo internal operating in collusion with the Israeli secret services" says a Russian researcher. "The nuclear devices used were a modified version of the artillery W-54 provided the Israeli forces between 1988 and 1998 of U.S. surpluses exported illegally during the Bush-Clinton era." Never in the history of the U.S. government an illegal operation was needed in so many lies, concealment and fraud. The official report of the commission investigating the attacks is the biggest lie that has ever borne the money of U.S. taxpayers. The end has come out of hiding following the determination of Vladimir Putin, probably Edward Snowden-informed answer to the intrusion of the U.S. and EU in Ukraine by the release of highly sensitive information that should lead the American people to demand responsibilities to their rulers.Facing the possibility of militarily confront NATO interference, which could lead to a third world war, Russia has opted for asymmetrical warfare on the Internet, where information is a powerful weapon.In fact, "Veterans Today" has echoed the information brought to light by Putin, disclosing it under the title "Too secret for publication" . 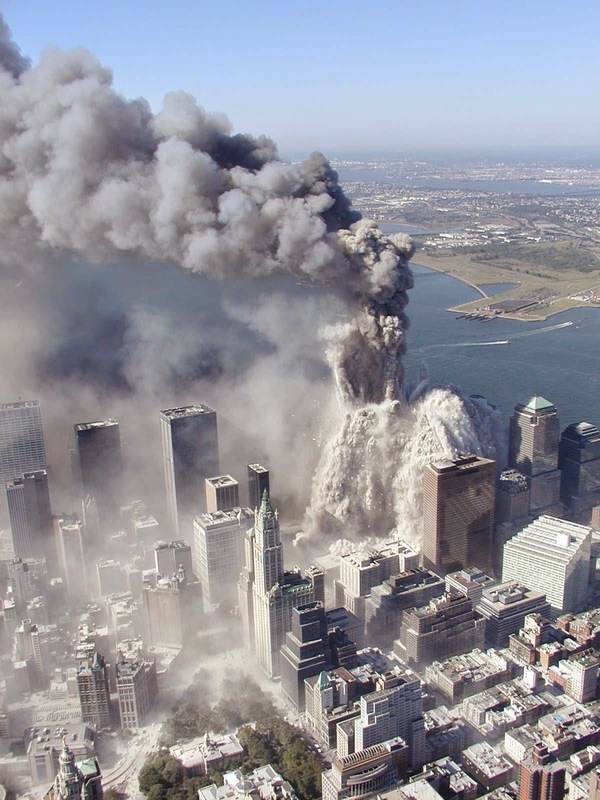 Thus, "Veterans Today" confirms that the chemical analysis by the DOE Sandi was able to identify the chemical / radiation fingerprint or thumbprint warheads based on samples taken after 911 of the aftermath at ground zero, confirming prior information from multiple sources in the attacks on the Twin Towers will use nuclear weapons. All warheads using plutonium have a chemical fingerprint that can identify its design, manufacturing and system age. If the investigation of the 11-S have been inconclusive, would have led directly to the identification of U.S. weapons provided to Israel illegally, something that the Bush administration was careful to conceal. A 2-kiloton device would have been enough to bring down the Twin Towers. Produce a fireball from 150 to 200 feet in diameter to more than 4,000 degrees Fahrenheit, enough to melt the beams of the central core of the building and make it collapse. The flash would last less than 1 second and would be mainly in the range of ultraviolet light. The radiation had dropped to acceptable limits within 72 hours after the explosion. 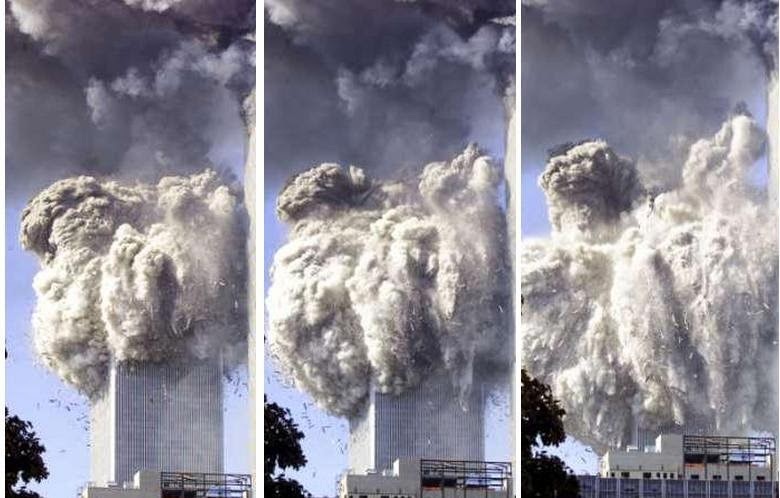 An explosion of this type is all that can explain phenomena observed that day as "vaporization" antenna 20 tons on the South Tower: Radiation steel dissolves iron oxide alloy, carbon and disintegrating silicon. Similar devices were used in the Bali bombing, the bombing of London on 7-J and Japan in their reactors. It is also used in Damascus, Iraq and Afghanistan by the U.S.. Such weapons are stored at embassies and consulates of Israel, caution was used with 11-S used, stored in the Israeli consulate in New York. Since then, the FBI checks all diplomatic bags with a Geiger counter before you leave or enter the U.S.
Nuclear weapons illegally transferred to Israel have been in turn resold to various countries, including both Koreas, India, Brazil, China, Taiwan, Japan, etc.. The Israelis, knowing that nuclear material had acquired a limited life, sought to dispose of this material, selling it to their allies. When they became aware of the scam, they were angry because they paid good money for scrap. This started a mini cold war with Israel and its former clients. However, micro nukes put on the market are still useful. Even as you get older the fissile plutonium will remain, resulting in lower power detonation. So we still can be used as small or very small dirty bombs tactical nuclear weapons, such as rocket-assisted W-54 employees to bomb Damascus. The main purpose of the nuclear weapon used on 11-S was to produce a massive flow of gamma / neutron rays vaporize about 150 to 300 feet of 6-inch thick steel beams that formed the core of the WTC buildings . This created the free fall we saw on TV that day. The internal support towers simply had disintegrated! The flash is hidden from view due to the underground detonation. The outer glow was in the form of light outside the spectrum visible to the human eye. The shock wave would be reduced to 6 psi due to upstream, causing the disintegration of the antenna at the top of the building, as can be seen on television. The cement concrete and iron oxide vaporized, leading to the strange paradox that the remains of the towers were much less mass than the towers themselves. The television said beta radiation burns were due to caustic cement dust, hiding that were due to the effects of radiation fallout. Likewise, the numerous cases of cancer that occur in New York now to asbestos used in the construction of the towers are attributed when their cause is the use of nuclear weapons. Radiation outside ground zero was reduced to safe levels after 72 hours. This is the reason that the vicinity of the Twin Towers were closed to the public during the three days following the attacks.